Hello Kitty and Pac-Man have combined for the ultimate crossover! 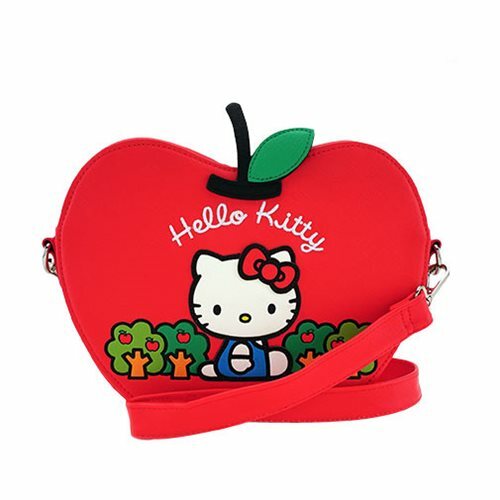 This Hello Kitty Apple Crossbody Purse is made of Saffiano faux leather with printed, debossed, and applique details. The purse measures approximately 10-inches x 7 3/4-inches x 2-inches and includes an adjustable shoulder strap. Ages 14 and up.